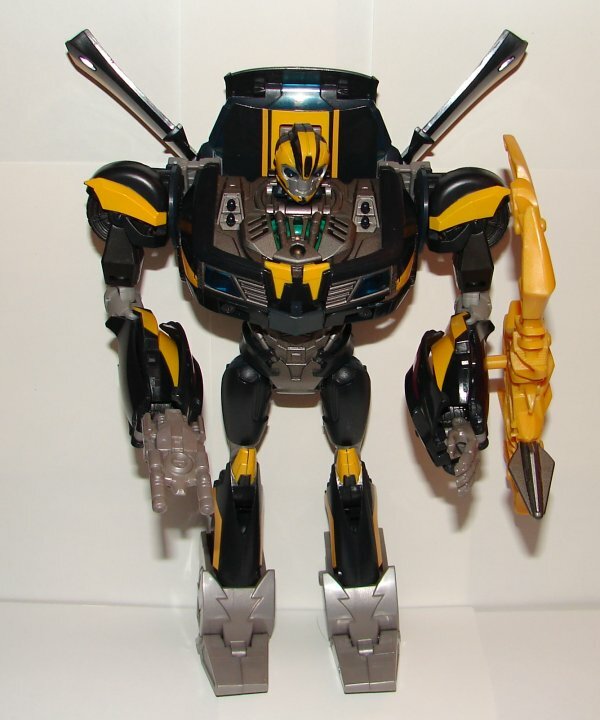 Read my review of the original Transformers Prime Weaponizer Bumblebee. This review will focus on the new paintjob, new accessory, and mold change. 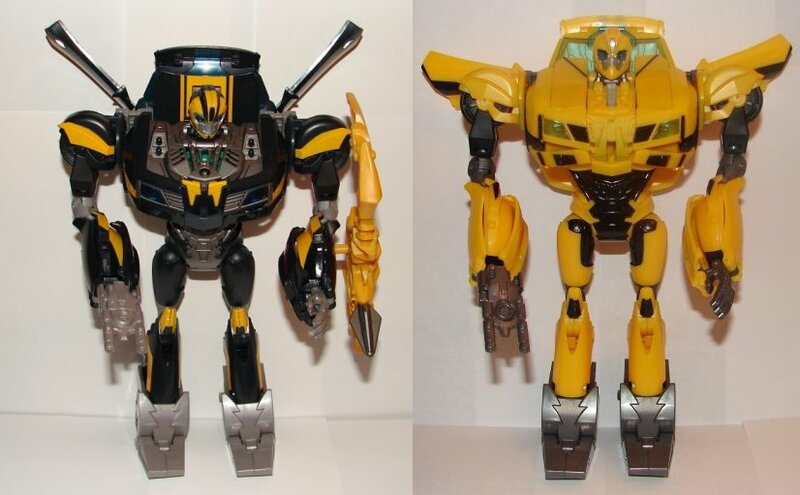 Bumblebee looks great in black with yellow and silver. I especially like the way they painted his head. 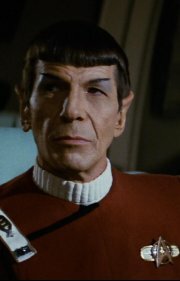 His accessory is just a solid piece of yellow plastic with the tip painted silver. It’s nice, but it doesn’t really connect to his arm very well. It tends to slip and point downward. 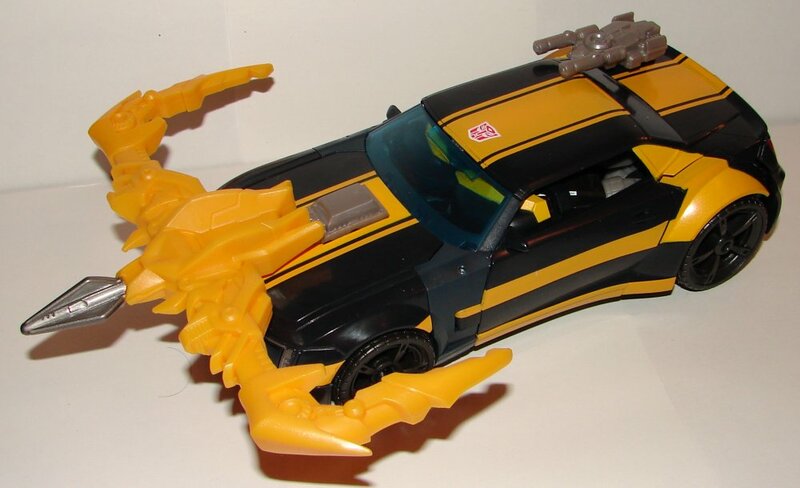 They did make a mold change to him, adding a port on the front of his hood to mount the new weapon in vehicle mode. Overall, it’s a nice toy, but having a voice chip makes him the first Bumblebee toy to actually speak in a long time (maybe ever). 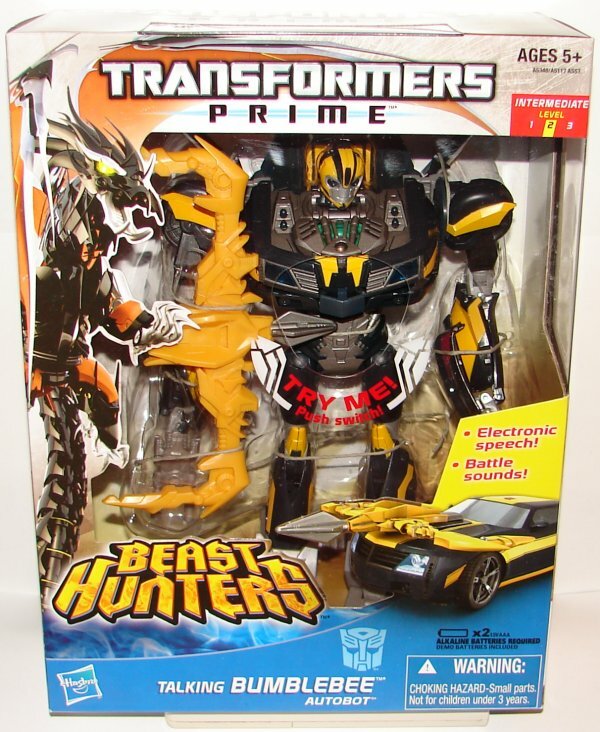 This entry was posted in Toy Reviews, Toys, Transformers, Uncategorized and tagged Beast Hunters, Bumblebee, Talking Bumblebee, Toys, Transformers, Transformers: Prime, Weaponizer. Bookmark the permalink.